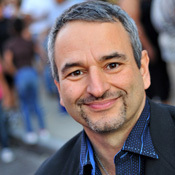 Joe DiPietro has won two Tony Awards, a Drama Desk Award and 3 Outer Critics Circle Awards. Broadway: Nice Work If You Can Get It starring Matthew Broderick and Kelli O’Hara (10 Tony noms, including Best Book, Best Musical), Memphis (4 Tony Awards including Best Book, Best Score, Best Musical), All Shook Up, Living on Love (starring Renee Fleming). Off-Broadway: Ernest Shackleton Loves Me (Off-Broadway Alliance Award - Best Musical), Clever Little Lies (starring Marlo Thomas), The Toxic Avenger (OCC Award - Best off-Broadway Musical), The Thing About Men (OCC Award - Best off-Broadway Musical), the much-produced comedy, Over the River and Through the Woods, as well I Love You, You’re Perfect, Now Change (the longest running musical revue in off-Broadway history). His many regional credits include The Second Mrs. Wilson (Long Wharf Theatre & George Street Playhouse), Chasing the Song (La Jolla Playhouse), The Last Romance (The Old Globe.) 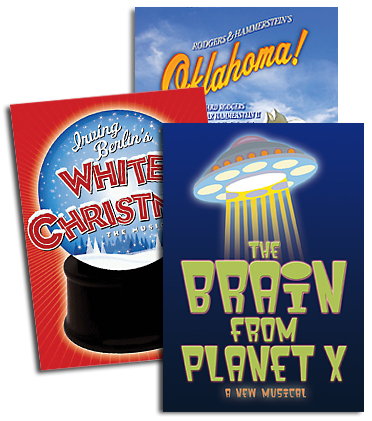 His musicals and plays have received thousands of productions across the country and around the world. Shouldnt I Be Less In Love With You? In 2003 THE THING ABOUT MEN opened off-Broadway at the Promenade Theatre where it ran for over 200 performances. In 1996 the musical I LOVE YOU, YOU'RE PERFECT, NOW CHANGE opened off-Broadway at the Westside Theatre, where it ran for 5,003 performances. In 2008 the musical I Love You, You're Perfect, Now Change closed after twelve years off-Broadway, where it ran for 5,003 performances. In 2004, THE THING ABOUT MEN by Joe DiPietro and Jimmy Roberts closed after an off-Broadway run of over 200 performances.